Men’s fitness is important. If you’re dedicated to changing your lifestyle and getting healthier, you’ve got to eat the right foods for fitness. No matter how hard you train, you’ll never get the results you’re looking for if you eat a terrible diet. One of the biggest exercise mistakes men make is working out just so they can offset their caloric intake. If the only reason you’re hitting the gym is so you can hit the fast food counter harder, you’re going about it all wrong. Fitness is much more than rock-hard abs and sculpted arms; it’s a way of life. Any man can bulk up on steroids if he chooses to and get a body he’s proud to show off. But underneath it all he’ll still be a very unhealthy man. When you start working out, you have to look past the surface and really think about your health. This means getting in the mindset of being and feeling healthy, not just looking the part. Food is your fuel. The better the quality, the better the results. 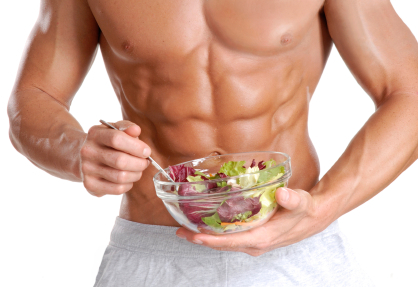 The best foods for men’s fitness are whole foods. Whole foods are unprocessed or as minimally processed as possible. Conventionally-grown produce is filled with pesticides so eat organic whenever you can. Organic produce, especially dark leafy greens, are loaded with vitamins and minerals that fuel your body before, during, and after workouts. Whole grains are important to men’s fitness because improve pre-exercise muscle glycogen concentration, which prolongs cardiovascular endurance. Brown rice, quinoa, millet, whole wheat, amaranth, buckwheat, and spelt are examples of good whole grains for men’s fitness. When choosing bread and pasta and other carbohydrate-rich foods, be sure they are minimally-processed. Beans are an excellent meat substitution for vegetarian bodybuilders. They’re loaded with protein for energy and endurance. To get the most nutrition out of beans, cook and eat dried beans instead of canned. Seeds and legumes are the perfect pre or post-workout foods to give you energy and help repair muscle tissue. Keep some on hand as a go-to snack in your desk or in your gym bag. Buy and eat whole nuts instead of opting for mixed varieties with preservatives. Bodybuilding men especially need lots of protein in their diet. Organic lean steak, chicken, turkey, and wild-caught fish should be the cornerstone of your diet if you’re looking to improve your fitness. Eggs are actually better for you than you think. They’re rich in protein and healthy fat to keep you fit and active. If you want to improve your fitness, you’ve got to know the difference between healthy and fat and bad fat. Healthy fats are foods like coconut oil, olive oil, butter, avocado, and natural nut butters. It’s margarine and vegetable oil you should avoid. Remember guys, men’s fitness isn’t just about looking good, it’s about changing the way you live for the better. When you eat the right foods and set your fitness goals firmly in your mind, the rest falls into place. 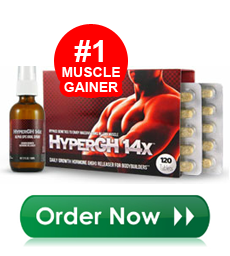 Gain Muscle Fast with HyperGH 14X!